By 1960, the art deco club had been rebuilt or remodelled into this fancy structure with the neon sign and pineapples lining the roof. 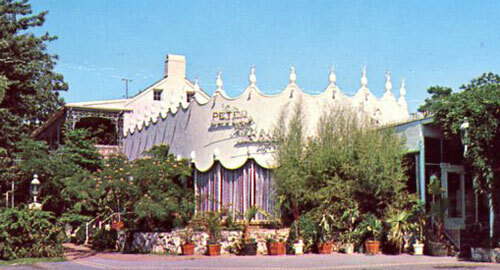 In its heyday, the Peter Pan expanded every few years. Go to next panel.